We regularly take a walk through the woods behind the coffee shop after finishing the day's work. 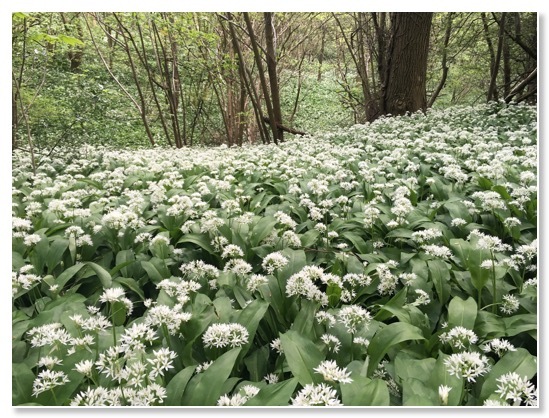 The wild garlic is in bloom at the moment with its pungent smell filling the still air, a sure sign that spring is here. Some German visitors came in the coffee shop earlier in the week excited to have collected a bag of the young leaves for a salad. They call it Bärlauch. Another of our walks after work takes us up over Lease Rigg. 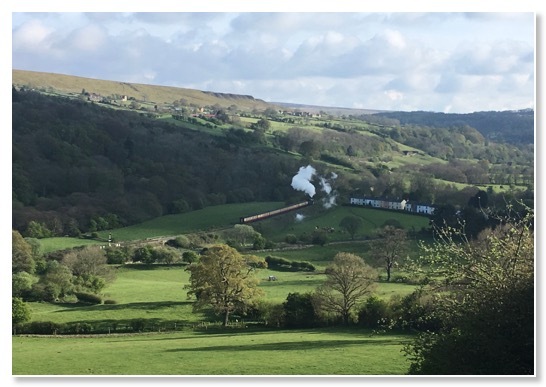 At the top of the hill we have a lovely view of Esk Valley and often see the last steam train of the day chuffing its way towards Pickering. We had a busy Easter and spring bank holiday. In contrast, early May weekdays can be quiet. After hardly seeing anyone through the day, we were pleased to serve a party of elderly naturalists from Whitby just before we closed. 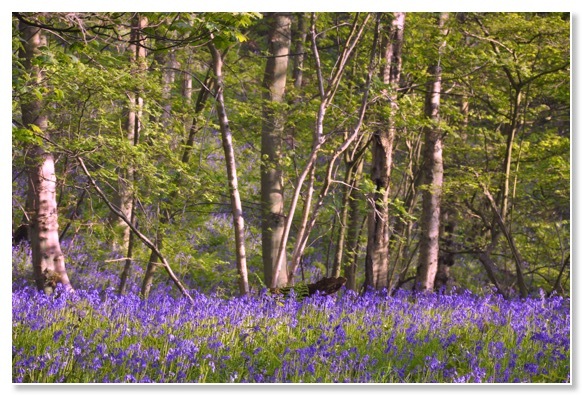 Despite their advanced years they had rambled through the woods hearing woodpeckers and catching sight of the first of the season's bluebells before heading to us for well deserved tea and scones.